Unfortunately, his personality tends to be largely unknown in the West. 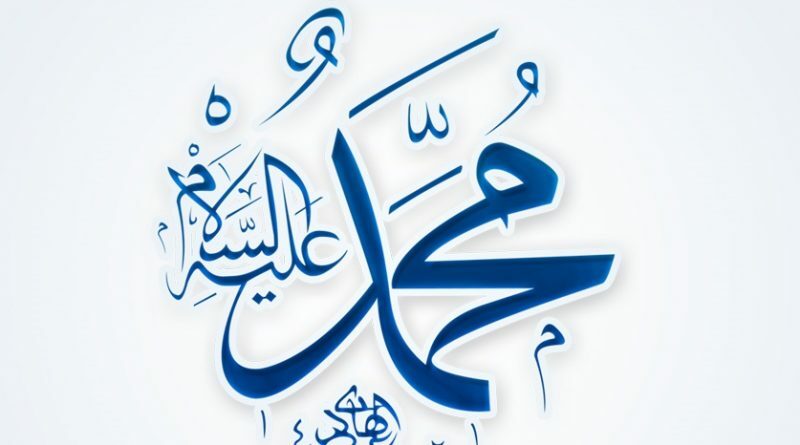 Prophet Muhammad was born in the year 570 C.E. in the city of Mecca in the Arabian Peninsula. He led a difficult life. Before he was born, his father died; and soon after he was born, he lost his mother as well. Although his grandfather ‘Abd al-Muttalib – the leader of their clan (the Quraysh) and caretaker of the Holy Kabah – immediately took him in and showered him with love, these irreparable losses at such a young age instilled a firsthand sense of empathy in him towards orphans, who are given special attention in the revelation of God. He worked hard and became renowned for his honesty and upright character. People of all walks of life came to him to entrust their valuables to him and seek his advice; in later years, many would continue to do so even though they had become inimical to him on account of message that he brought. When he was in his twenties, he began to work for a wealthy businesswoman named Khadija leading trade caravans. Although 15 years his elder, she was greatly impressed by his character and felt that he would make a suitable husband for her. Thus, she sought his hand in marriage. They married and enjoyed a happy and stable marriage until the end of her life. Khadija bore him several children, the most notable of whom was Fatimah Al-Zahra, who was renowned for her service to religion and to the poor and is considered a role model for women throughout time. Read, and your Lord is most generous! Taught him what he knew not. (96:1-5). Prophet Muhammad went back to his wife Khadija and told her what had happened, and she became the first person to believe in his message. For the first few years, the number of Muslims remained few. And then Prophet Muhammad received the command to publicize the revelation. Overnight, the Muslims became the subject of severe torture and persecution. The Prophet sent many of the Muslims to Africa for their own safety, and he and his relatives were exiled and forced into a small corner of the desert, where they were forbidden to have contact with anyone. During this time, Khadija used the wealth she had earned to smuggle food and water to them, but the conditions proved too harsh for her, and she died soon afterwards. Eventually, their exile was lifted. Gradually, Islam spread until, by the end of Prophet Muhammad’s life, almost the entire Arabian Peninsula and beyond – which had hitherto been a land of idolatry, warfare, and hedonism — had been united peacefully under the message of God.